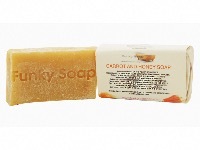 THIS IS A RICH AND NOURISHING SOAP MADE WITH REAL BANANA AND HONEY. BANANAS ARE RICH IN VITAMINS A, B AND E AND ACT AS AN ANTI AGEING PROPERTIES. THEY ALSO WORK WONDERS ON DRY AND TIRED SKIN. YOUR SKIN WILL FEEL HEALTHY, NOURISHED AND MOISTURISED. 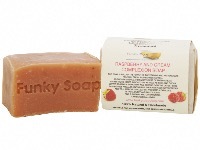 THIS SOAP ALSO CONTAINS SHEA BUTTER AND PEACH KERNAL OIL FOR EXTRA CONDITIONING. THIS SOAP HAS A SWEET SMELL AND CAN BE USED ALL OVER. Oh wow are the words I want to say, this soap is absolutely gorgeous it is a all over soap hair and body. It make you smell lovely and sweet, not sickly like ripe bananas. Just a sweet smell of honey and banana. 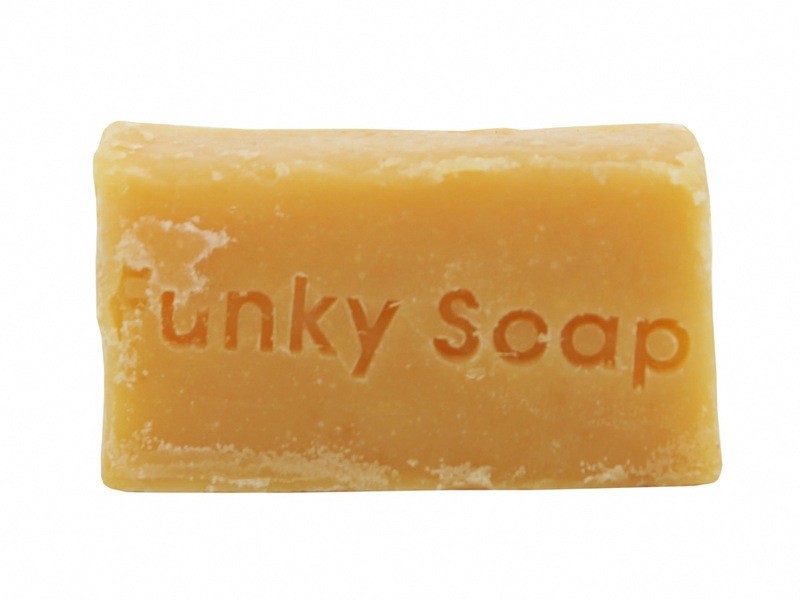 It soften your hair once you have been using natural shampoo bars for a while. Truly this is one of the best natural soaps I have tried so far. And I am slowly collecting Funky soap shops soaps. Love them and would recommend them to anyone who wants to go natural and green.